In the latest of her series of Victoria company profiles, MaryLou Wakefield meets MediaCore – a media library that provides schools, higher education institutions and businesses with an easy way to share and manage educational content. There’s no doubt about it, the company that wants to transform education through video and mobile technology is on a roll. MediaCore launched in 2009 and since then has grown from four staff to 20. In the next two years they plan to double or triple that. Add to that, new investors, global clients, and a number of exciting projects on the horizon, not to mention winning 10 awards in 10 months. We regularly upload videos of technical procedures that we do with animals on farms, and this enables the viewer to gain a real personalized experience. One of the RVC’s courses includes a lambing placement and students can review what they have learned by playing back the video. Students can also access this material before going to help with lambing, to give them an idea of the procedure in advance. Hundreds of people have used this video and it is available for anyone to access. In contrast to a lot of technology in the education space, MediaCore wants to assure customers they’ll get a product that does exactly what it’s supposed to do. He acknowledges that it’s significantly more challenging to build something simple because that takes a lot more decision-making. With the philosophy that ‘people who use software are real people’ to guide their decision-making, “we focus on what our customer’s core needs are and what our product needs to do, and stick to that,” he says. VIATeC: What problem are you solving for people? MediaCore: There are a few things happening right now that are very challenging. Education on a global scale is undergoing huge change and we’re at a crossroads. Governments don’t have money to spend on education, and, huge numbers of people in developing countries such as India and Africa want access to education. The system as it is now just doesn’t scale well. There’s been a big move over the past few years to provide education online because it gives more people access, the cost per student is lower, and, research shows that when online education is combined with video, the education is significantly more effective. That’s where MediaCore comes in. We provide a simple, reliable platform for institutions and businesses to harness the power of video for their education and training needs. We provide a platform for any school or university to create an online media library that’s private, secure and enables a great learning experience. The pedagogy models that teachers regularly use alongside our software include peer-to-peer learning, blended learning, flipped learning and inquiry-based learning — all of which offer different ways of teaching in new an innovative ways that make better use of instructor time while increasing student outcomes. VIATeC: What are you excited about right now? MediaCore: A few things actually. I’m really passionate about a project we’re working on to create Africa’s first online university. It will give people across that country access to education for a fraction of the cost of a traditional education ($500/yr. as opposed to $5000/yr.) and, it will deliver programs designed to specifically meet employment needs in various regions of the country. We’ve also been invited to make a presentation about a pilot program for up to 500 schools in Hong Kong. We’re excited about our progress in China with the first schools there starting to adopt our platform, and we’re generally excited about the response we’re getting from Australia, the Middle East and a few other countries. At the end of the day, you want to spend your life working on really interesting things you feel are making a significant difference in society and that’s really what we’re trying to do. VIATeC: Who works at MediaCore? 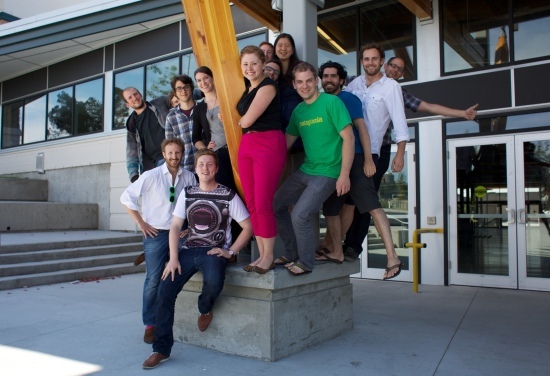 MediaCore: We’ve got 2 offices and 20 people who work at MediaCore. At our London (UK) office we’ve built a great sales, marketing, and business development team (headed by Allan Greenberg, previously with Apple Education’s Higher Education business in Europe and Asia) and we also have two engineers there as well. In our Victoria (Canada) office we’ve located the majority of our product team who are led by Nathan Wright (CTO) and Anthony Theocharis (Chief of Engineering). Overall, we’ve got some brilliant minds who are really passionate about solving big problems in education and making a difference on a day-to-day basis. VIATeC: What’s the best thing about working at MediaCore? MediaCore: We have terrific talent here and insanely smart people love working with other insanely smart people. They also love solving really interesting problems and we’ve got both of those. After that, we have great policies around flex hours and working from home, a really lovely office space with comfortable couches and a kitchen, and we keep company with a very friendly dog named Tucker. We also do events as a team a number of times a year which include sailing and ski trips – we just all really enjoy spending time together. VIATeC: What’s the value of being part of the high tech community in Victoria? MediaCore: Being part of the VIATeC community is a great way to meet other CEOs and take advantage of some mentorship opportunities. It’s a good way to build awareness of your organization in the ecosystem. The VIATeC Job Board is terrific in terms of spreading the word about job opportunities in the community as well. VIATeC: Where do you see the community going in 2 -5 years? MediaCore: I feel we all need to look beyond just creating amazing companies. It’s not enough to have a few standout successes if there’s no broader engagement. We need to look at building an amazing ecosystem here in Victoria. In San Francisco for example, large companies mentor mid-sized ones, and they in turn mentor smaller ones. They have accelerators, incubators, co-working spaces and other programs. Granted, that all takes time to build and a lot more than just one group of people moving it forward. We also have to think about becoming global players. The fact is, that it’s faster to fly to the Valley, than it is to take the ferry to Vancouver. That should be on every CEO’s mind. Update June, 2013: Stuart Bowness was named Executive of the Year at the 2013 VIATeC Awards. Congratulations Stuart! The finalists for the 12th annual VIATeC awards have been announced with 38 companies and individuals listed in nine categories. 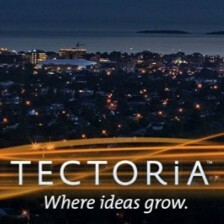 A gala event is scheduled for June 20 at the Victoria Conference Centre. Clayton Stark, who opened a gaming studio called Kixeye, will receive the Colin Lennox Award for Technology Champion, while the VIATeC Member of the Year award will be RaceRocks 3D. Lots of fantastic companies listed below. A.O.E. Accumulated Ocean Energy Inc.